Welcome to the Super 8 in Wall, SD I-90 exit 110. Our location is 7 miles from the beautiful Badlands National Park. Walking distance to the world famous Wall Drug and 72 miles from Mount Rushmore. 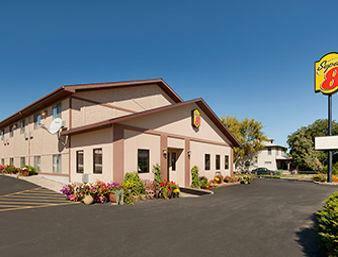 Thank you for choosing Super 8 in Wall, SD for your accommodations. After you have spent your day traveling and exploring our beautiful state, park your car, truck, or RV in our large secure parking lot, then let our professional and friendly staff assist you in finding the clean and comfortable 100 Percent non-smoking room that will fit you and/or your familys needs. Enjoy high speed wireless internet access, microwave, refrigerator, expanded cable TV w/remote control featuring ESPN, Fox News and HBO in all guest rooms. Join us in the morning for our complimentary SuperStart continental breakfast. See you along the way.